Taking the time to recognize the initiatives and the people who are contributing to the industry shift is necessary to promote accessible tourism! The Kéroul Mention, which has become the category Accessible Tourism at the Tourism Excellence Awards of the Quebec Tourism Industry Alliance, highlights the work of an organization that offers outstanding accessible tourism services. The Michel Carpentier Award highlighted the work of a person who had made an exceptional contribution to Kéroul's mission. Since 2017, the Accessible Tourism category of the Tourism Excellence Award organized by Alliance of the Industry of Quebec highlights the outstanding accessibility of an organization's tourism services. This price replaces the Kéroul Mention. In addition to the received recognition, the winning organization gets a package of tools and services offered by companies wishing to develop the skills of entrepreneurs and tourism managers. The jury that selects all the Excellence Tourisme winners is composed of 15 tourism and communications specialists with varied expertise and backgrounds. Mention Kéroul was a distinction awarded during the annual gala of the Grands Prix du Tourisme québécois from 1991 to 2014. The goal was to put the spotlight on the work of managers in the tourism and culture industries who offer services adapted to persons with limited physical abilities. The jury was composed of five members (including the jury president) from private and public sectors with whom Kéroul interacts on a daily basis: disabled persons, tourism, culture and transport. Members of this jury were known for their support of social values of inclusion and openness. By creating this award bearing his name, Kéroul expressed its desire to pay vibrant homage to Michel Carpentier, this honourable man who spent his life career working as a Quebec civil servant. The prize was awarded during Kéroul's annual benefit evening. It was during its annual general meeting that Kéroul revealed the name of the twelfth person to earn its Michel-Carpentier Award, which recognizes those who have made an outstanding contribution to Kéroul's mission. This year, the honour was conferred on Marie-Michèle Tremblay, for her tireless dedication and remarkable contribution to developing the Welcoming Ways training program over the last 25 years. During the award presentation, Kéroul's chairwoman, Isabelle Ducharme, made special mention of the fact that Ms. Tremblay was the first person to update the training program when she joined the organization in 1987. Tremblay also gave training sessions and hired trainers in several regions so the program could be offered province-wide. She managed to adapt the program content to the needs of various businesses who had requested it, most notably Air Canada and the Casino de Montréal. Tremblay has always believed firmly that the training sessions must be given by people with disabilities. She herself has lived with a motor impairment, and, in recent years, has been living with a visual impairment as well. For a long time yet, Kéroul's clients and partners will benefit from Tremblay's generous and intelligent contributions to the development of the organization's training programs. Adèle Girard contributed to pursuing Kéroul’s mission for ten years as a Director at the organization, from 2001 to 2011, including two years as Secretary-Treasurer (2009-2011). During this time she served as General Manager of the Conseil québécois des ressources humaines en tourisme (CQRHT), providing Kéroul with her expertise on various matters, mainly in the tourism sector and regarding training and human resources. She provided sound judgement in these areas during the review of our content on hospitality training and the provision of services to disabled persons and the elderly. Her skills as a manager allowed her to go above and beyond her direct area of expertise. For example, in 2004, Adèle was a member of the committee that implemented a shoe collection program, in partnership with the social economy company Certex. Adèle won our sincere appreciation with her straight talk and her pragmatism, her simplicity and her effectiveness at handling cases. Thank you, Adèle, for your tireless commitment. As coordinator of the Kéroul fundraising gala from 2002 to 2005, and again in 2008 and 2009, Lyne Rowley always planned the events to perfection, and made sure that each one was a great success. Since 1998, she has served as a member of the Advisory Committee. Her expertise and wise counsel in this capacity have helped Kéroul generate bountiful returns. Today, Lyne Rowley continues to embrace Kéroul’s mission, a mission to which she is deeply committed. She has spent countless hours helping Kéroul to grow. It is therefore without hesitation that Kéroul bestows upon her the 2010 Michel Carpentier award, in recognition of the valuable work she has accomplished. Since 1996, Romain Girard has been a dedicated friend of Kéroul. He sat on the Board of Directors for a decade, from 1999 to 2009. For Kéroul, he has been one of the strongest advocates of intercity transport accessibility in Québec. Romain Girard has had a hand in the development and advancement of many different projects. As Executive Vice-President of the Association des propriétaires d’autobus du Québec (APAQ), he strove to educate transport companies about the benefits and challenges of bus and terminal accessibility. Furthermore, he helped create and introduce the Quebec Intercity Coach to Accompany Card for people with restricted physical ability. He has worked tirelessly to represent Kéroul before the Ministère des transports du Québec and to push for bus and terminal accessibility as an integral part of public transit development. Romain Girard also became actively involved in Transport Canada’s Intercity Bus Code of Practice initiative and its efforts to change the complaint process for travellers with disabilities. Among other contributions, he helped design, facilitate and evaluate numerous research studies touching on Kéroul’s mission. The love affair between Anna Di Fruscia and Kéroul began in 1989, when she was general manager at the Association of Canadian Travel Agents (ACTA). That year, André Leclerc set up a meeting with Anna to discuss the creation of a partnership to bring Kéroul’s mission to the forefront among travel industry stakeholders. In 1991, Anna left ACTA but continued working to raise awareness about Kéroul’s mission. In 1992, Kéroul was able to rouse Anna’s interest in a new project. The Government of Canada had mandated Kéroul to oversee logistics, travel and accommodation for 300 international representatives from 40 countries. Kéroul asked Anna to come on board as project manager and put her travel industry expertise to work for the organization. Naturally, she jumped at the opportunity! The international symposium Autonomy 92, organized in Vancouver by 15 international disability organizations, presented no shortage of challenges. Without the input of a veteran like Anna, the project could have taken a different turn. Needless to say, she worked tirelessly, logging countless hours. She was determined to make the project a success, and a success it was. Passionate about everything she undertakes yet modest about her achievements, Anna sat on Kéroul’s Board of Directors from 1993 to 2000. Today, working as an operations and customer service director for the Galland Group, Anna continues her quest to raise awareness of Kéroul’s mission. Galland today boasts four adapted buses, one of which proudly bears Kéroul’s logo. As she has done for years, Anna continues to donate countless hours to Kéroul events. From the awards gala organized by Tourisme Laval last March to the many Kéroul benefit evenings, Anna Di Fruscia is always close at hand, ready to help Kéroul accomplish its mission. We should never overlook the fact that from the moment Suzanne Chassé was appointed assistant deputy at ministère du Tourisme du Québec, she took a keen interest in Kéroul’s mission. She quickly became an invaluable resource person. Her expertise in tourist markets and clienteles has made her a key consultant. She has demonstrated her know-how, her enthusiasm for our cause, and her dedication in countless ways while working with us on various projects—notably on the conception of the logo for the tourist guide, The Open Road. Suzanne Chassé was with us all the way, as we put our heads togetehr to create the advertising concept. She put all her effort into keeping the guide’s image as clearly on-message as possible. Today, the poster featuring— front and centre— a young woman sitting in her wheelchair right next to the Montreal Museum of Fine Arts beautifully illustrates the disabled person’s interest in culture. Added to this, Mme. Chassé has succeeded in making Quebec’s tourist information bureaus accessible. And it is thanks to her initiative that the ministry’s Web site is now universally accessible. In recognition of her boundless dedication and her remarkable contribution to several projects in Quebec, Kéroul is pleased to grant her the Michel Carpentier award. In so doing, Kéroul wishes to honour an extraordinary ambassador who believes that tourism and culture should be accessible to everyone. She has humbly and skillfully helped to make Quebec’s public administration and sectorial organizations aware of the specific needs of persons with limited physical ability in this domain. Admired by her peers, the list of her accomplishments is long and worthy of praise. Since 2002, Michel Rheault has been managing director of the Corporation de l'industrie touristique du Québec (CITQ), a non-profit organization mandated as the official manager of classifications for Quebec's tourist accommodations. It is in this role that Kéroul has found Michel Rheault to be a friend and ally in its efforts to make cultural activities accessible to persons with physical disabilities. He has, among other things, set up the organizational structures needed to ensure a dynamic partnership and harmonious bond between Kéroul and his team. The results achieved include: applying an accessibility code corresponding to the criteria Kéroul has developed for different types of tourist accommodations; adding to CITQ's annual directory Hébergement Québec an index of Quebec's accessible facilities which meet Kéroul criteria; and using Kéroul training sessions to upgrade his team's expertise in accessibility. To honour his contribution to Kéroul's mission, Michel Rheault was given a piece by the glass artist, Isabelle Debras. Lio Kiefer is being singled out for his deeply sincere and unfailing loyalty to Kéroul’s mission. As a journalist specializing in travel, he has developed the practiced senses of a planetary spectator as well as a style all his own. By turns mocking and poetic, he is particularly keen on love and word play with jabs that really hit home. A storyteller, a communicator, and an author, Lio Kiefer enjoys an endless appetite for travel. He has been Kéroul’s spokesperson since 1998. The encounter between André Leclerc and Lio Kiefer has left its mark on the organization. Both these men are devoted to justice and equity. Both are marginal in their own way. Both are straight-talkers, with a sometimes caustic edge. Both are unflinchingly loyal to the values and ideals they share. Lio Kiefer colours every occasion he hosts with talk about disabled persons, thus sensitizing his audiences to integration issues. Le Sage, a piece by the Quebec sculptor Marc Martel, has been given to Lio Kiefer to illustrate his impact as a volunteer. Until his recent retirement, Laurent Tremblay was Executive Director (Quebec) of Parks Canada. However, it was well before he held this position that his interest was awaken for accessibility and quality of accommodation of clients with special needs. 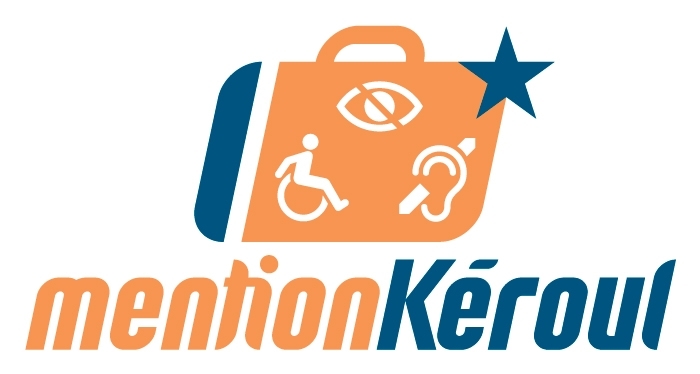 It was at the very beginning of the 1980s, while taking part in the Journées québécoises du tourisme pour les personnes handicapées organized by Kéroul, that he started being interested in the importance of making tourist areas accessible. In that scope, he participated in developing the policy on accessibility of areas managed by Parks Canada, and always supported Kéroul in its many endeavours. Mr. Tremblay received the sculpture Souvenir d'un ami by Quebec sculptor Armand Destroismaisons. This year’s Michel Charpentier Award is —exceptionally—being bestowed posthumously upon Messrs. Philippe Lapointe and René Massé, two of Kéroul’s close collaborators. They both counted among Kéroul’s greatest ambassadors and its most ardent defenders. All those who had the pleasure of knowing them even casually would agree that they were very generous and always available. Director and then vice-chairman of Kéroul from 1997 to 2002, Mr. Lapointe participated in many meetings and delegations as a spokesman for the elderly before public officials at all levels of government. Mr. Lapointe joined in Kéroul’s 1998 tour of provincial ministries and then its 1999 tour of federal ministries. These initiatives led to various types of collaboration aimed at developing accessible tourism and culture and thereby promoting the social integration of persons with limited physical ability. For the last 32 years of his life, Mr. Lapointe continued to fight for the interests of the elderly and the physically disabled. His previous career had been in teaching. He was in fact the first Quebec school principal to integrate a handicapped student into the regular program of classes. Something of an exploit at the time! Mr. Lapointe is receiving posthumously Marc Martel’s sculpture, Le plongeur. A long-time friend of Kéroul, Mr. Massé was a director of our organization from 1994 to 2003 and served as its vice-chairman from 1994 to 1997. René Massé always knew how to inspire us with his good humour and his unfailing determination to advance the integration of disabled people. Especially involved in transportation issues, Mr. Massé was a very active volunteer, always ready to give a hand in Kéroul’s day-to-day operations. He was also one of Quebec’s pioneers in wheelchair athletics. In 1972, he was the only Quebec athlete selected to participate in the first Paralympic Games. For more than thirty years, René Massé showed himself to be a devoted and active participant in the development of athletics for the disabled. Advisor to the Quebec Paraplegic Association and also director of material resources at the Lucie-Bruneau Rehabilitation Centre, Mr. Massé distinguished himself by his active involvement and his positive outlook on life. Mr. Massé is receiving posthumously Marc Martel’s sculpture, Le fonceur. Because he is always ready to help Kéroul with his expertise, his judicious advice, and his unfailing support, Louis Jolin is an obvious choice for the 2002 Michel Carpentier Award . A doctor in law, he teaches in the Department of Urban and Tourist Studies at Université du Québec à Montréal where he is also head the bachelors program in tourist and hotel management. Louis Jolin has authored works in the field of associative and tourist law, delivered countless speeches, and written many articles dealing with social tourism. He is also an ardent advocate of accessibility. By creating this award bearing his name, Kéroul expressed its desire to pay vibrant homage to Michel Carpentier, this honourable man who spent his life career working as a Quebec civil servant. Michel Carpentier played a very large part in building a network of ministerial respondents on whom Kéroul could count to advance the accessibility of tourist and cultural venues. In the exercise of their jurisdictions, the 13 Quebec government ministries involved all made accessible tourism and culture one of their concerns.